1999 John Deere 648GII Grapple Skidder with Winch. Hour meter reads 5,110 hours, runs and starts good, strong Power Shift transmission, tight center pins, little play on blade pins, extended blade, 30.5x 32 tires @ 75% - 1 has a weather crack. Heat, A/C, and lights. Contact Erik @ Red Pine Equipment 218-720-0933. Machine is located in Northcentral USA. 1999 Timberjack 1270B Harvester with a 762C Head. Per owner, this machine has a Navstar DT 466 engine that has been gone through, runs and starts good. Strong hydraulics, pump has been replaced. Boom and steer cylinders are in working condition. Head, CPU, and measuring system are in working order. New windshield. 710 tires, bogies and bearings are in good condition, tight center, pins and bushings have normal wear, engine pre-heater, heat, A/C, and lights. Contact Erik @ Red Pine Equipment 218-720-0933. Machine is located in Northcentral USA. 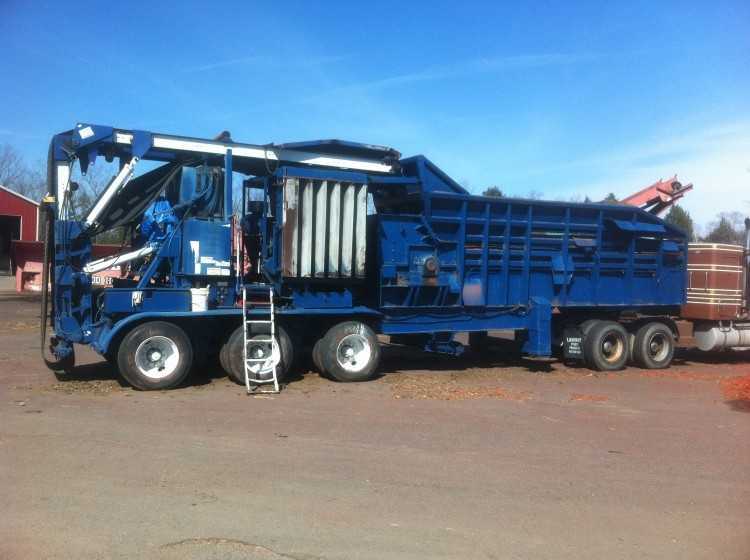 1999 Morbark 23 WCL Whole Tree Chipper. This equipment has a CAT 3412 engine, 7,159 hours, runs and starts good, Morlift 500 loader with Cab, strong hydraulics and cylinders, 3 knives, 7/8" chips. Joystick control. Good brakes and tires. Contact Aaron @ Red Pine Equipment 218-720-0933., Machine is located in Northcentral USA. 1999 Timberjack 1270B Processor. This machine has a DT 466 Engine, 762C Head with newer saw assembly & bearing. 700 tires with tracks tires approximately 50-60%, newer main pressure and pilot valves, tight center, pins and bushings have normal wear, pre-heat, good solid machine. Contact Erik @ Red Pine Equipment 218-720-0933. Machine is located in Northcentral USA. 1999 Timbco T425C Feller Buncher with a 2005 Quadco 360 degree 22" Saw Head with 4,000 estimated hours, new engine with 1,000 hours ago, Implement, charge and saw pumps with 1,000 hours, undercarriage is @ 80%. New front idlers, 50 hours on bottom rollers, new sprockets, 28" double grouser pads. Solid boom. Espar heater with Arctic Fox Diesel Fired Coolant Pre-Heater. Leveling cylinders have been recently repacked. Also has a 40 degree head In good working order. Machine can be sold with either Head. Contact Aaron @ Red Pine Equipment 218-720-0933. Machine is located in Northcentral USA.